On a Friday night in late November, Kyler Murray torched West Virginia. The Oklahoma quarterback did his part to make sure it was one of those games in which the mascots were swapped out because they couldn’t do all of the post-touchdown pushups. Murray threw for 364 yards and 3 touchdowns while also adding another 114 yards and a score with his legs to fuel a 59-56 victory in Morgantown. The Friday night game meant that Alabama players like Quinnen Williams were able to catch the action. At the time, they didn’t know that they’d get a chance to do what West Virginia couldn’t. That is, contain Murray. As Williams prepared to face the Heisman Trophy winner, he thought back to his takeaway from watching him go off against the Mountaineers. “We’ve gotta put some pressure on him, make sure we close him, not let him get out there and do what he wants,” Williams said via Tyler Palmateer. Of course, no interior player in America has been better at applying pressure on quarterbacks than Williams. According to Pro Football Focus, the first-team All-American had the highest pressure percentage and win percentage of all defensive linemen. In other words, if Alabama is going to do what it’s setting out to do — get pressure on Murray up the middle — it’ll start with Williams. That’ll obviously be easier said than done, even for a Crimson Tide defense that’s allowing just 5.86 yards per attempt (Murray is on pace to set the FBS single-season record for yards per attempt). Part of that challenge is personnel. Though Alabama seems like the team that has everything, one thing it doesn’t have is, well, a Murray-like quarterback. Contrary to what social media suggested after Murray edged out Tua Tagovailoa for the Heisman, Saban and Alabama players had some serious praise for Murray. Linebacker Dylan Moses compared Murray to Michael Vick because of his ability to make explosive plays from sideline to sideline. 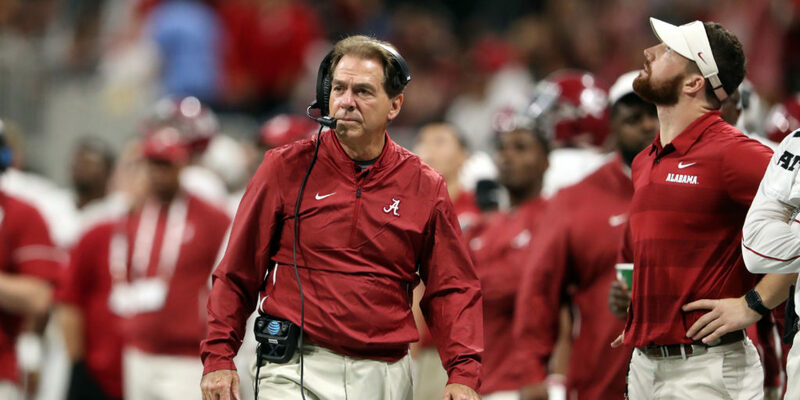 Besides not having anyone on the roster with Vick or Murray-like elusiveness, Alabama hasn’t faced anyone quite like that, either. Joe Burrow and Nick Fitzgerald are mobile, though not in the sense that Murray is. And even quarterbacks like Jordan Ta’amu or Jake Fromm, who both ranked in the top 6 in FBS in yards per attempt, don’t stretch the field as often as Murray. But Williams isn’t convinced that Murray will be that unprecedented for the Alabama defense. According to the Alabama defensive tackle, it’s Murray’s execution that stands out. 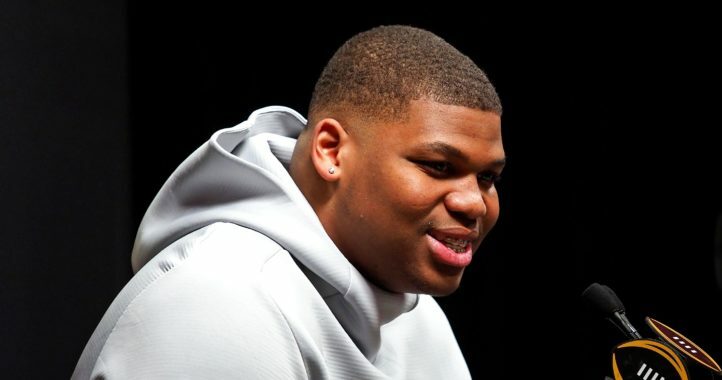 Alabama defensive lineman Quinnen Williams keeps it real at all times. 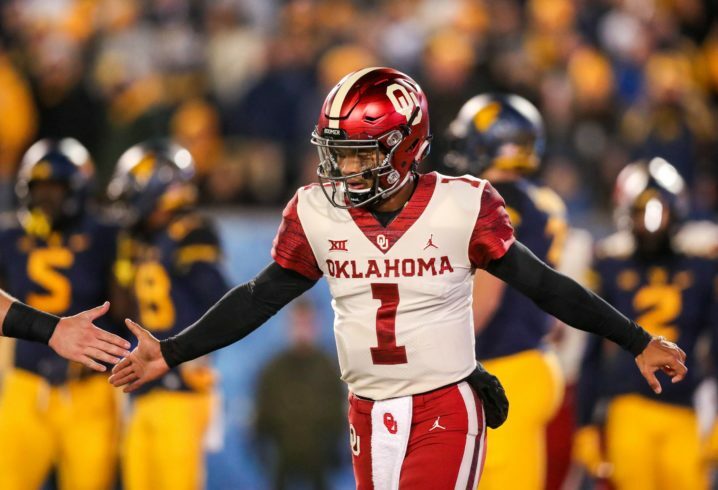 On Kyler Murray: “Oklahoma do the same thing that everybody do, they just have a smoother quarterback." For all the things Murray has working in his favor, the one thing he doesn’t have is his height. Say what you want about what it means for the 5-9/5-10 quarterback at the next level, but it could be a significant factor in determining how comfortable Murray gets, and perhaps even more than getting pressure off the edges, which could still lead to Murray scrambles. Across the line, Alabama has 6-7 Raekwon Davis on the edge, 6-5 Isaiah Buggs off the other edge and the aforementioned 6-4 Williams up the middle. The group’s ability not only to get pressure on Murray but to be in position to get deflections at the line of scrimmage could prove to be pivotal. If Alabama is able to accomplish that, it’ll be no small feat. The Oklahoma offensive line is as good as there is in a variety of areas. Murray was only sacked 15 times in 13 games and the Oklahoma ground game was ranked fourth among Power 5 teams. Williams is well aware of that. The question is just how much Williams and Co. can dominate Murray. Keep in mind that while Alabama hasn’t seen anyone quite like Murray, the reverse is also true. In his final 5 games, Texas was the only defense Murray faced that ranked in the top 60 in scoring. The Longhorns were No. 57. And for what it’s worth, Iowa State was the only Power 5 defense Murray faced all year that ranked in the top 40 nationally, and the Sooners had their second-worst offensive output of the year (Murray still had 348 passing yards and 3 touchdowns, though). There’s a decent chance that he continues that against Alabama on Saturday night. This is still a Crimson Tide defense that is coming off a game in which Fromm threw for 301 yards and 3 scores. But certainly Alabama would take holding Oklahoma to 28 points like it did against Georgia. Who knows? Maybe Murray, who missed his media availability Wednesday because of illness, won’t be his usual self come Saturday. Williams reminded media members that it isn’t just Murray that Alabama has to worry about because “he doesn’t throw it to himself.” He said Alabama is looking at Oklahoma as a whole, and not just the Heisman winner. And, as one would expect any Alabama defensive player to say before a game, Williams closed with the most important 2 things for the Crimson Tide to do to contain Oklahoma in the Playoff semifinal showdown. Catch the runt and make the tackle count. SEC style. That petulant little punk wants no part of getting hit. He’s small and slippery, if he takes a hit from a safety it’s a big hit. I hope our guys long arms are able to get a hold of him. I don’t care if he gets 3 tds. I don’t care if he gets 350 yards. Points on the board are what counts. The defense has to make him hurry. Do not give him all day in the pocket. 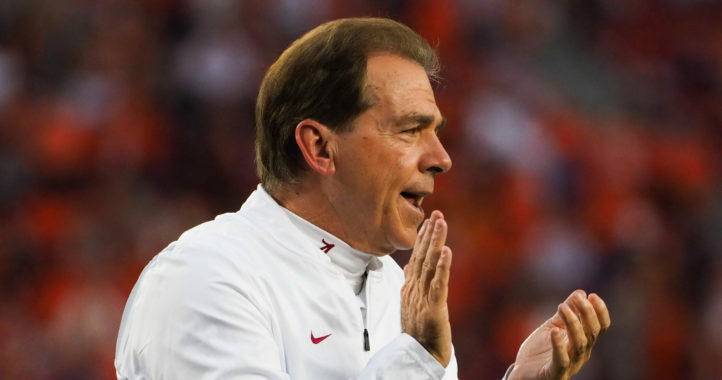 Any defense Bama shows will be more than they have seen this season. Keep the pressure on him and show them how football is played on both sides of the line. Bama wont be able to shutdown Murray. But, they judt need to contain him in the pocket an not let him get outsidemake where theres no containment. Make the pocket collapse around him to where he has to throw over the outstretched arms of our taller d line. If he gets outside an bama loses containment then he has the option of running or passing the ball with no pressure. Easier said then done and even tho bama has some excellent pass rushers itll take more than one to coral the little varmit. Im just hoping bamas offense can get offto a fast start an not slow like the last 2 games. But as in Tua you can give him all day to find a receiver and itll take more than a 4 man rush like bama likes to use to disrupt him. Sooners oline is very good at protecting murray. Make him remember why he left the SEC. Make his azz quit. He left Texas A&M because their coach was dysfunctional. Nothing to do with the SEC.